I received an email from a reader who asked a question so good, I had to dedicate an entire post to it. She mentioned that she often struggles with keeping her goals. The problem was that she had a hard time remembering to focus on them on a day to day basis. Then time passes and you realize that you've made little to no progress at all. Her question resonated with me because I've often experienced the exact same thing. I write goals down then forget my written commitment. That's when I realize that I'm no closer to these goals as when I first wrote 'em. About a year and a half ago, I sat in a room with 40 other people attending a transformation seminar. We were nearing the end of the three day session and the presenter began to share about another seminar from the organization which promised life changing results. Then he invited a few people who completed the course to share their personal testimonies. One person after another described the incredible achievements they were able to accomplish by taking this course. I listened quite intently because, a year before that, one of the past graduates of this course was a speaker at an event my company held. I can't even remember the topic he spoke about but one thing he said, stuck with me. In his speech he briefly mentioned that he ran a real estate office and, once he took the course, his office became the top performing locations in California. He didn't go into any further detail. As I sat and listened, the only thing I could think about was "what did this course teach that was so powerful that he could create those types of results in such a short time period?" 1. You are place in a group (on a team) which meets in person once a week at their designated location. Some people drove hours to attend this meeting. 2. You also have conference calls with your group on a weekly (if not daily) basis. 3. While on this team, you create a big goal for yourself to accomplish. The team helps support you in the goal by holding you accountable. You leverage the power of the team to bring your goal into reality. 4. You set milestones for your goal. Basically you set a due date to reach your goal and then identify multiple deadlines, for various milestones, that lead you to your end result. 5. Your keep your goals "in existence." Meaning you are always discussing your goals, milestones, and results with your team. If you aren't on course, you immediately create new actions to achieve your intended results. Here's why I failed whenever I set out to achieve a major goal. I create the outcome I wanted and incorrectly labeled it as a goal. For instance, let's say I wanted to earn $10,000 a month. I'd call that my goal. But in reality, $10,000 a month is an outcome. AND, in order for that outcome to take place, I have to reach a series of smaller goals. Most of us don't identify the goals (milestones) that must be achieved in order for our outcome to manifest. The milestones much be clear and have dates attached. That way you can see if you are on schedule to reach $10,000 a month income by xxxx. I watched a Youtube vid on goals where the guy was saying that most of us don't react appropriately when goals aren't met. For example, let's say I had a milestone of earning $5,000 in the month of May and I fell short of that goal by $1,000. My next focus should be to adjust the actions in June to account for that missing $1000. Basically, I'm to do what is necessary to achieve my overall goal which means that I have to work harder next month to make up for the shortfall. Secondly, I rarely keep my goals "in existence." Most often, I write them down and forget about 'em. Sometimes I can get away with it but I greatly increase my likelihood results when my goals are right in front of me at all times. I've read countless of accounts of successful people who re-write their goals every morning. Grant Cardone, author of the 10X Rule says that he rewrites his goals as many as 3 times a day. If that isn't a sure fire method for making sure you don't forget your goals, I don't know what is. Each month I record summary of my outcomes and my goals for the upcoming month, on my Iphone's voice recorder app. I've done this consistently for years and I still have a hard time remembering my goals for the month. Why? Because I only do this once a month. If I want to achieve exponential levels of success, I need to come up with a way to regurgitate my goals on a daily basis. Lastly, we can not forget the power in having someone else holding us accountable for what we said we would do. Currently, there's no one I'm accountable to with my personal goals. In the past I've hired coaches to help me create greater results. One coach requested that I document how I spent my time during the week. Then we'd go over my results and create new action plans. Knowing that I'd have to give detailed explanations for how I spent my time made a huge difference in my actions. I'll probably be working with a coach on a weekly basis again to supercharge my results. 1. Identifying major milestones and defining weekly actions that lead you to these milestones. 2. Making sure your goals are in front of you as often as possible. 3. Creating a system to consistently review the progress on your goals on a daily + weekly basis (preferably with an accountability partner). This has been one of my major issues with moving forward with goals. 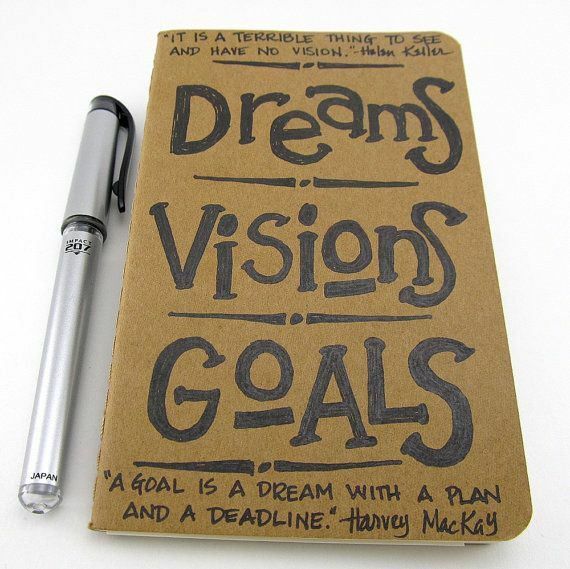 I write my goal lists in sections for the year (review them once a month and revise twice in the year) and they are for the most part high level outcomes as you noted. Being held accountable is definitely an issue as well. Reviewing goals consistently has been one of those things that helped me tremendously. Every Sunday I set aside 20 minutes to go over my goals, see what's been done towards them during the past week and what needs to be done in the following days. I then right it down as tasks and send it to my Google account to have them in my mobile and in front of me. Try it out - this helps a lot! Must Have Essentials for Girls with Puny Lashes. How to Create Flawless Skin in 7 Days. Fit Friday | Summer Fitness Inspiration. Instagram Beauty Secrets Part 7. How to look amazing every day without fail. 5 Makeup Looks to try this weekend! What to wear when you have nowhere to go.